Our New York Style Pizzas come in three sizes. Small (10″), Large (14″), and XLarge (18″). 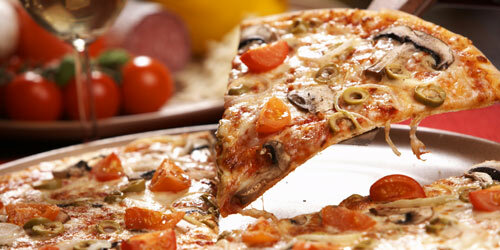 Our pizzas and calzones are made of the finest ingredients available. Take the time to visit us. Within our restaurant, you will find the best Highlands Ranch pizza created from fresh ingredients and made with care. Not only is our special Highlands Ranch Pizza renowned but our calzone is a filling of ricotta, mozzarella, romano cheeses, and delicate spices, blended and sealed in our homemade dough. It’s super popular!